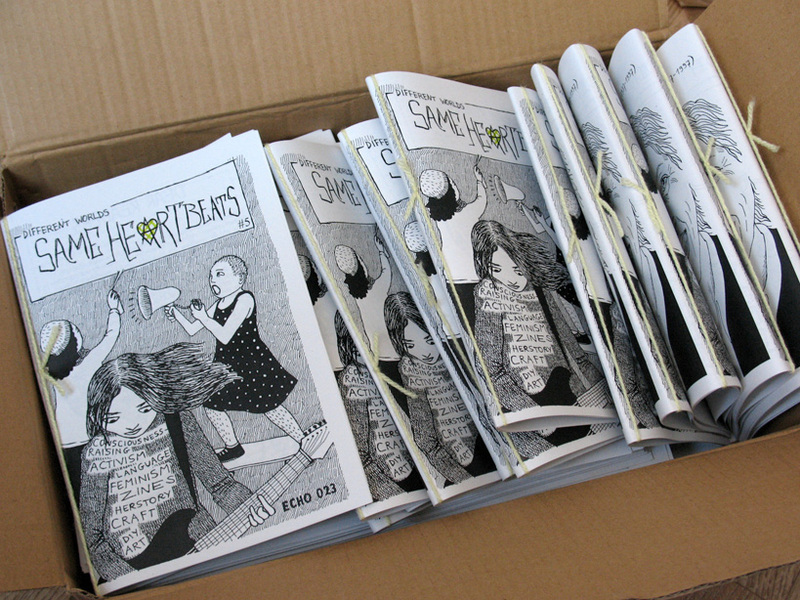 Finally, another issue of Same Heartbeats has left the printers. 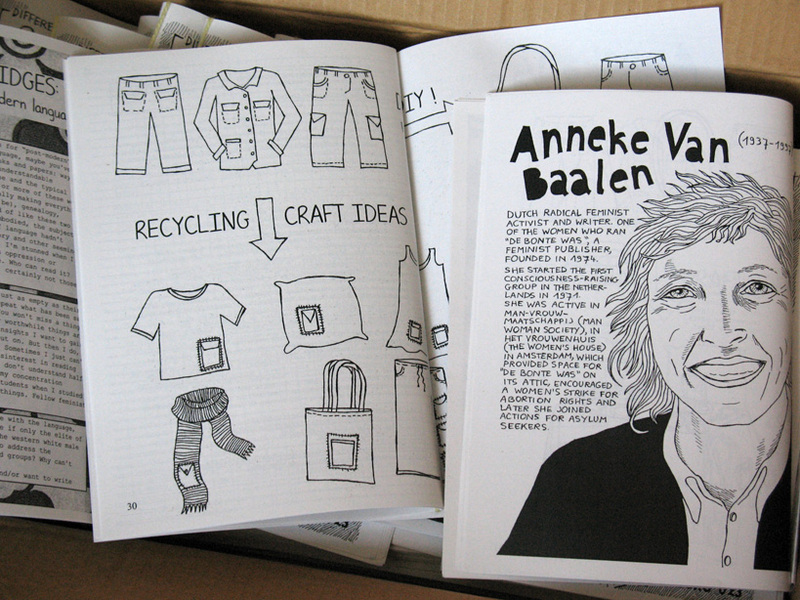 #5 contains more writings on feminism, activism, craft and self-publishing. 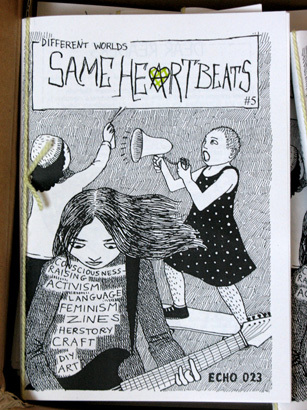 Like previous issues of Same Heartbeats, this 5th issue is printed on recycled paper, hand-tied with coloured yarn and filled with lots of drawings and artwork. It mixes DIY graphic art with political theory and some personal rants. Hoping to spread some sparkles of inspiration to do-it-yourself too, read this zine and make your own! This entry was posted in Merch, News, Publication, Zine and tagged artzine, echo, fanzine, for sale, grrrlzine, magazine, merch, pamphlet, perzine, same heartbeats, shop, zine. Bookmark the permalink.